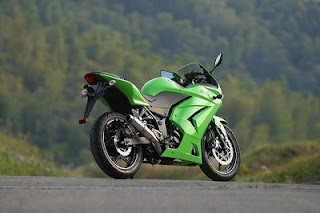 Bajaj is all prepared to launch its new offering, Kawasaki Ninja 250 R, in India. The price of this bike will be declared at the time of launch at around 1 pm today. However, the expected price tag may fall between Rs 1.5 lakh to Rs 2 lakh. The specifications and other silent features are already there on the company site. This will increase the number of bikes launched in India during the festival season. The two-wheelers which were launched during the festival season are- Yamaha VMAX, Hero Honda Karizma ZMR PGM Fi, Mahindra Rodeo and Mahindra Duro. Apart from this, limited edition of Yamaha Fazer, Yamaha FZS and Yamaha FZ16 were launched in India.